Travelling for private or for business, it always costs you money. But if you look around on this planet , when on the road, you will be at least one experience richer when you are back home again. End of October Avera-Distributing participated in the A+A Show in Dusseldorf. This is a show about safety at work. Here we showed the new Gearkeeper line of Tool Tethering products. 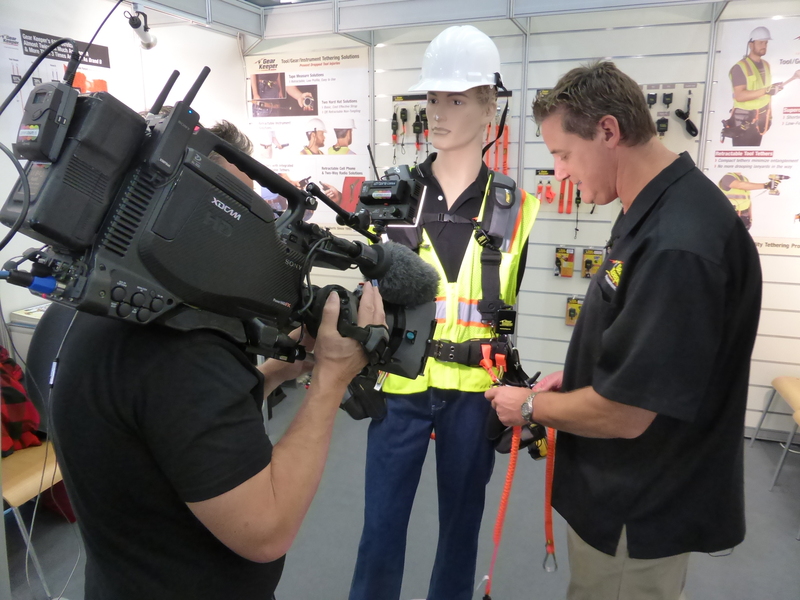 During the show we made a video about the new GearKeeper solutions for tool tethering. We hope to be able to show this video very soon. The A+A show is about safety at work. It was my first time to do this show and I was surprised by the large number of manufacturers of fall protection, flash lights, (safety)shoes, boots and an unbelievable number of producers of gloves. Our ‘neighbour’ across the aisle was the company Top Glove from Malaysia. They are the largest manufacturer of gloves and produce 44.000.000.000 pairs of gloves this year. In their booth they had a plasma screen and all day long the promo video of the company was shown. The video ended with the corporate song. During 4 days of A+A show I must have heard this song over 300 times. In The Netherlands we are too much individuals to appreciate a corporate song. But maybe I am too much on the road to be still an original Dutch guy. I loved the song and the idea behind it. Click HERE to see the youtube video of the corporate song. For those who are interested in the complete corporate video of the Top Glove company, click HERE. Travelling is enriching and inspiring, so I hope that very soon we will have an Avera-Distributing corporate song. If you are a composer or writer feel free to send your ideas for such a song. Keep singing when you are ‘on the road again’. This entry was posted in Avera Company, GearKeeper and tagged A+A Show, Corporate Song, gearkeeper, Top Glove. Bookmark the permalink.